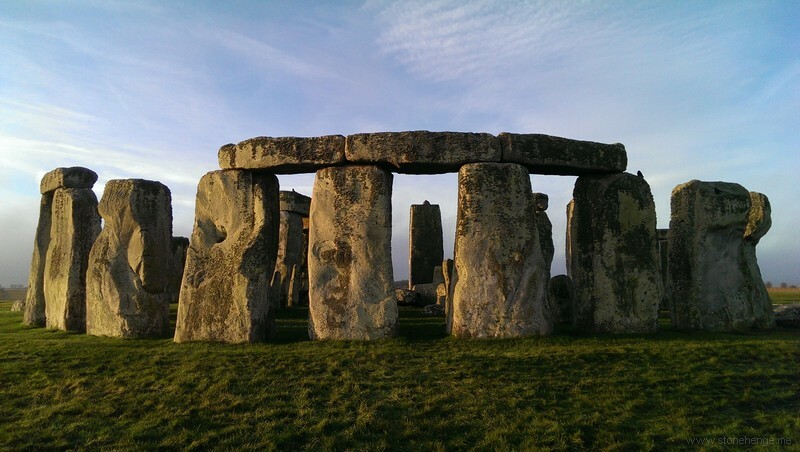 www.Sarsen.org: Why was Stonehenge built where it was? A couple of interesting 'sound bites' the river feeding the Avon the "interstate of its time" - boats, where did they come from?? I thought archaeologist were into 'hunter/gatherers' and I was alone with my water 'super highway' how things change!! But the quote of a Paleolithic tool found BEFORE the ice age in 14,000BC is just plan nonsense do these people not understand the dates of these major climatic events? Makes you wonder about the interpretation and dating of the finds!! Lots trees, lots of rivers, lots of Mesolithic boats! Lots of Paleolithic tools from before various Ice age events including from Boxgrove West Sussex which was the oldest when I worked on it in 1994? That was Homo Hiedlebergensis (Boxgrove Man) 500,000 BC. A couple of short interesting comments producing a great ignorance of terminology and understanding of basic climatic events and periods , the use of tools within these periods and what archaeologists actually say about the use of Mesolithic tools used on rivers and seas by hunter gatherers . The use of tools by hominids in Paleolithic Britain extends from approx 900,00-500,000 YA e.g. Happisburgh and Westbury where there is evidence of butchery ,the later Boxgrove site has been mentioned followed by Neanderthal sites with Mousterian tools e.g. Lynford in Norfolk , Dartford Kent Mendips , Devon and Wales , all long before the 14,000 BP . There are large numbers of Mesolithic foragers sites on various Scottish islands , the mode of travel is obvious , similarly the much easier use of waterways like the Avon has been recognised by archaeologists for decades as being a mode of travel as well as an adjunct to foraging strategies . "decades" news to me - unless you're calling a 'skin tube' or 'log dug-out' a boat? I have seen in my studies many a red-faced archaeology academic use these dinghies as an excuse for the migration of Mesolithic people to our islands - I would dearly love to place them in such a craft and tell them "Ireland is 200 miles west - Good luck" I think their perception of a 'real boat' may change! In the meantime, I look forward to the Stonehenge access tunnel either being filled in or repainted (do we know Tim?) - as it seems to lack any boats on the mural giving way to only fur clad people with the thankless task of dragging stones accross Salisbury Plain 3,000 years after the 'boat interstate' just down the road/river. It appears your “studies “ , were not related to the subject matter of your comments and or the term is inappropriate . There have been no finds of sea going Mesolithic boats in Scotland but as boats were the only way to access the previously mentioned Mesolithic sites on Scottish Islands (both Hebridean and northern Isles )from the mainland , and also to access waters deep enough for the type of deep sea fish and resulting bones found in Mesolithic sites in Scotland and Scandinavia , we can be sure they were used . Similarly boats were used on inland waterways in the same period . Both circumstances have been known for decades . Now that you have had time to consider the info provided , the flushing has hopefully subsided . You are correct in that no 'sea going' boats have yet been discovered in Scotland, although clearly people crossed the sea to Ireland in large numbers. Therefore logically, either these boats have yet to be discovered in Scotland (they've found one in Bouldnor Cliff in 2011) or the sea did not exist - a simple fact, even for a red-faced archaeologist. What is even more absurd is the belief that boat technology did not change for 3000 years then within 1300 years we were using catamarans at Parc Glyndwr. Yes , your earlier comments were complete nonsense . Repeating what I have said and then saying that it is correct is unnecessary and does not address your errors . Your ” logical “ conclusions re. the finding of boats used in the Mesolithic omits an obvious category , as does the lack of bodies from the period with both having a similar taphonomic explanation . There was no suggestion that boat technology didn’t change , why even mention that ? , other than to allow another unnecessary , error avoiding , “complete nonsense “ ,thankfully minus caps , although the cap does fit . "There was no suggestion that boat technology didn’t change, why even mention that?" like most of your statements you failed to understand the bleeding obvious... its a catamaran constructed (at least) 1500 years before the Greeks are supposed to have invented them!! its a quantum leap in ship design from the boats you are talking about, but yet when Roman invaded they were gone and were back to dug-outs and skin boats. Yet your academic dogma will not allow you to see that boats were much more sophisticated in the past, which would allow the colonisation places such as the Scottish isles and Ireland. Especially, when split wood was discovered in Star Carr in c.9000BC and a wooden boat in the Solent in c.6000BC.. Most of your statements have been shown to be wrong and the quotes can be supplied . Neither I nor anyone else made any mention of anything to do with boat technology , your comment was unnecessary whilst avoiding your noted errors . You seem to have a major inability to understand simple points ,it was I who mentioned that boats were used to colonise the Scottish Islands in the Mesolithic here is an example of a quote "There are large numbers of Mesolithic foragers sites on various Scottish islands , the mode of travel is obvious " . Simply repeating what I say and then saying it is correct does not address your errors . What dogma ? If you have any problems with points I have made , quote them , don't obfuscate and misrepresent . Accepting your errors might be useful too.